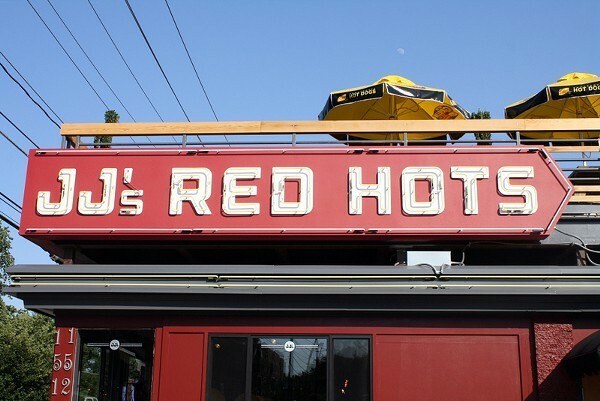 JJ's Red Hots on East Blvd. On June 28, I had the wonderful opportunity to preview one of the latest additions to the growing hub of restaurants on East Boulevard. 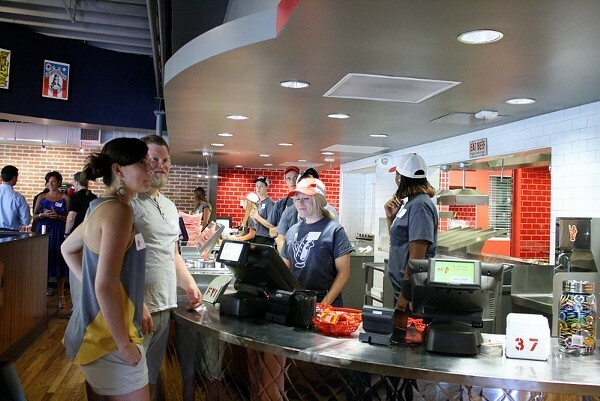 JJ's Red Hots, which will open to the public, fittingly, on July 4, serves handcrafted chargrilled hot dogs and sausages, and all the sides and fixings you need to turn your trip into a complete experience. 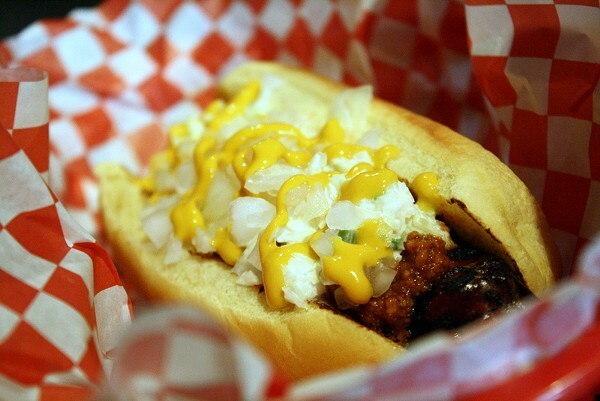 This isn't your run-of-the-meal hot dog joint. 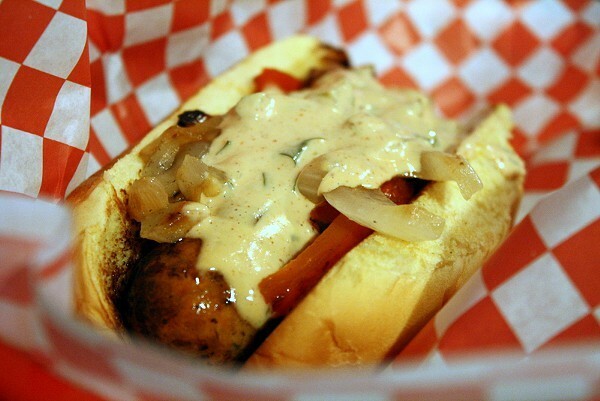 JJ's Red Hots takes hot dogs seriously. Their motto: Don't Dis the Dog! Their motto is "Don't Dis' the Dog!" because they believe in treating their dogs with the upmost respect, which means chargrilling them and serving them with only the choicest toppings and highest quality sides. If you're familiar with the other restaurants that have inhabited the building at 1514 East Blvd., you'll be amazed at the transformation the interior has gone through in the past few months. The interior is now sleek and modern. But look closer and you'll see that, while the building is sparkly and new, it also pays homage to its history. 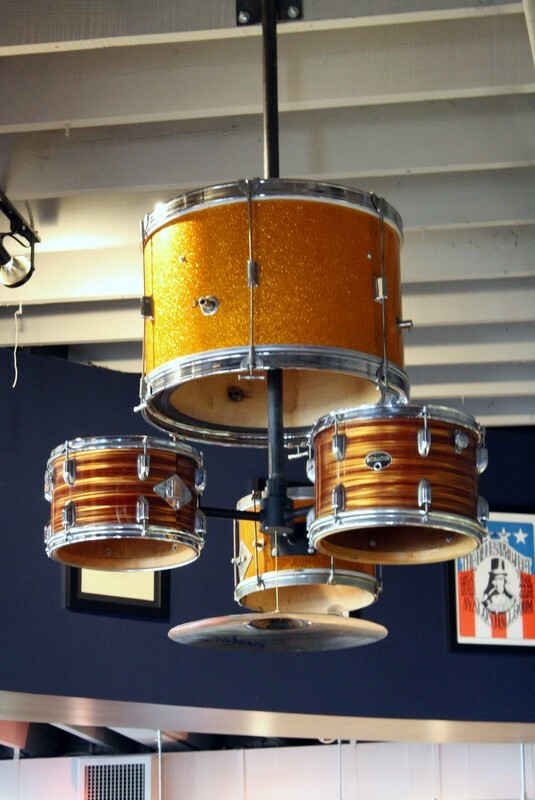 The drum chandelier will remind native Charlotteans of The Drum Restaurant which opened in 1948 and closed its doors in 1995. But now, let's get to the most important part of JJ's - the dogs. While you probably have your own special way of eating a hot dog, can I make a suggestion? 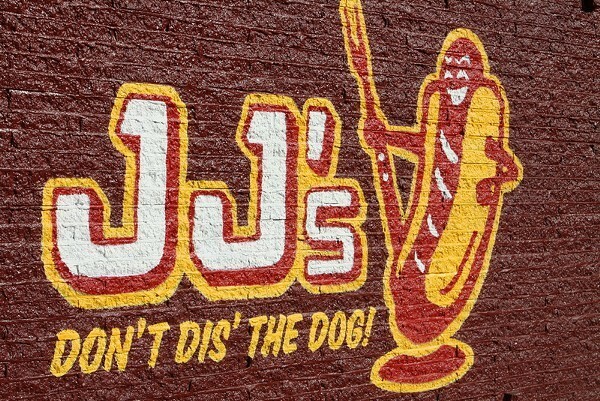 The hot dogs at JJ's are so creative and unique, I suggest taking friends and family who are up for sharing several hot dogs so you can create your own sampler. 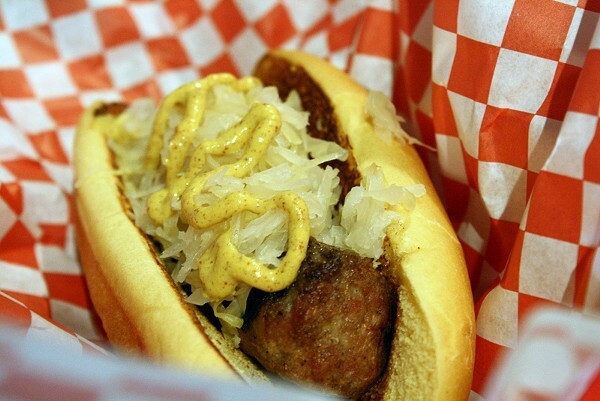 For my first visit to JJ's, I took one of my closest hot dog loving friends with a healthy and adventurous appetite. We ordered hot dogs to our belly's content and sliced them all into halves so we could each try a bit of everything. 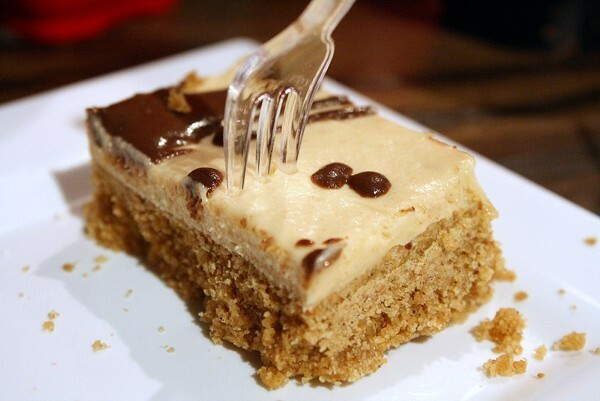 JJ's also has quite an assortment of desserts, including some outstanding milkshakes and the Peanut Butter Chocolate Ganache. 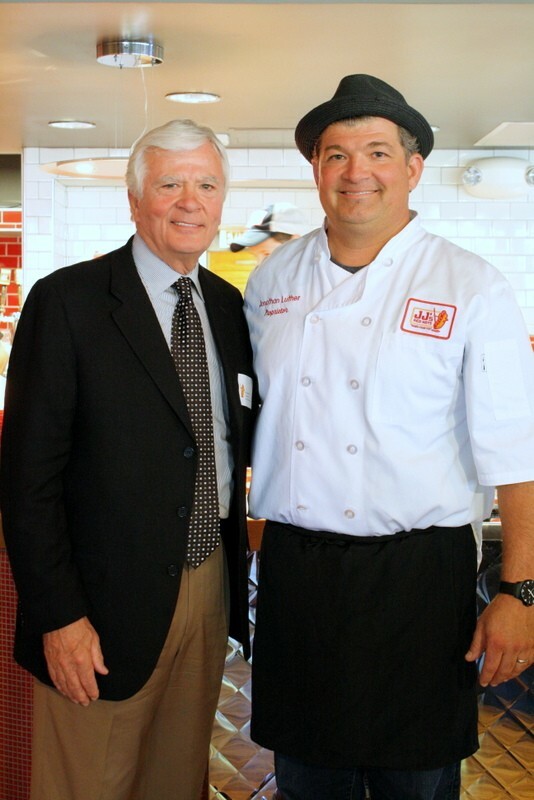 Once everyone was served with plenty of hot dogs, desserts, onion rings, and orange aide, Founder Jonathan Luther introduced everyone on his creative culinary team, from his food and beverage manager to his father and co-founder, Jon Luther. Overall, the experience at JJ's Red Hots was fantastic. 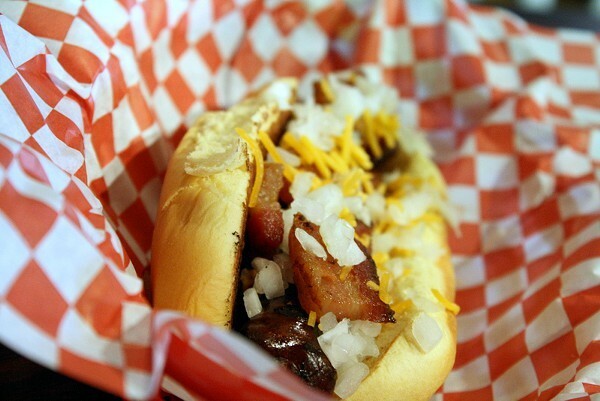 The staff was knowledgeable and friendly, the atmosphere was fun, and most importantly, the hot dogs were fantastic. My favorites of the nights. Stop by on July 4th for their grand opening and to celebrate the freedom to enjoy a good hot dog.